Our carpet cleaners are specially trained to provide pet-friendly, child-friendly carpet cleaning services. We don’t use harsh chemicals to clean your carpets – we only use safe, organic chemicals that will not harm the environment or your household. Other carpet cleaners may use harsh chemicals that may have volatile organic compounds, which can damage the quality of your air. Through our specialized carpet cleaning process, we are able to lift deep stains, dirt debris, and allergens without having to waste water. Other carpet cleaning company use messy extraction techniques, which also means that they need to use heavy equipment to flood your carpeting with water and then extraction techniques. We can assure you that our cleaners can make your carpet dry in an hour. The reason behind is, we use very little water, you don’t have to worry about your carpet drying. Otherwise, you could find yourself dealing with mold issues and other issues – especially during the more humid, warmer season. You won’t need to open all the windows and doors to dry your carpet after one of our cleanings! Our cleaners are highly trained and specialized in special carpet cleaning needs. They know how to deal with the stain to get you rid of the toughest stain. Our cleaners make sure that your carpet is looking brand new again. So when you are in search of the best carpet cleaners in Newport News, call Kelley Carpet Cleaning. Our carpet cleaners assure guaranteed results. If you are not happy with our services, we will return to your place and treat your carpet again within a week. We pride ourselves on your services: we aren’t happy unless you are. 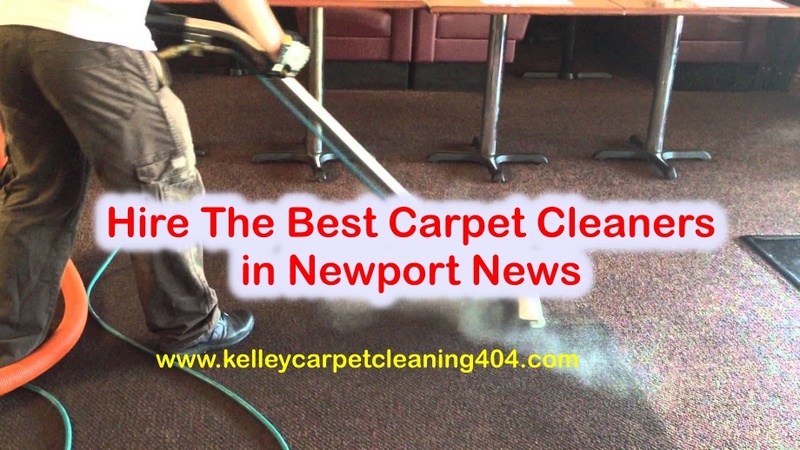 If you are in search of professional and affordable carpet cleaners in Newport News, Yorktown, and Williamsburg, then no one better than Kelley Carpet Cleaning. Call us today at (757) 504-2267. Follow us on Facebook and Instagram for regular updates. Why Professional Upholstery Cleaning is Essential? Get The Best Property Rates With professional Carpet Cleaning in Newport News!